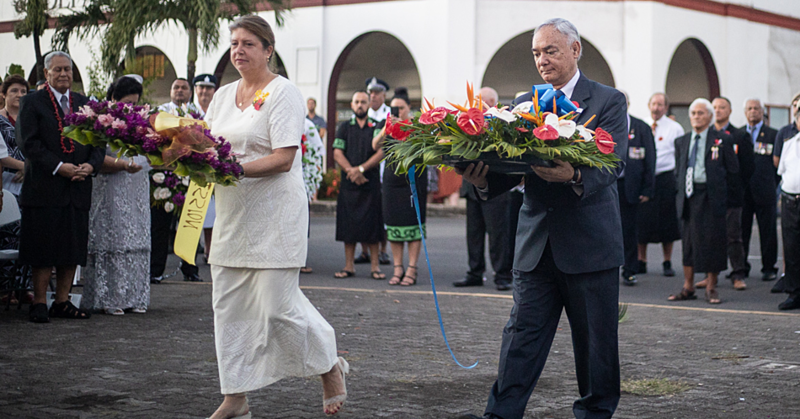 Where the pigs go when the bus is full in Samoa? 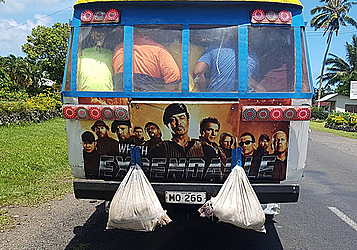 Two size 2 pigs find themselves hanging from the back of a jam-packed bus in Samoa. The undated photo was taken by Maina Vai and posted on her Facebook account.